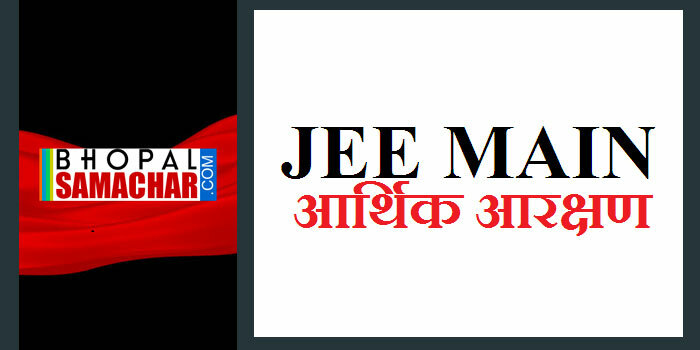 Sub: JEE (Main) 2019- Economically Weaker Sections (EWS) Category Candidates. As per the OM No. 20013/01/2018-BC-II dated January 17, 2019 issued by the Ministry of Social Justice and Empowerment and the OM No. 12-4/2019-U1 dated 17.01.2019 as well as the Letters No 35-2/2019-T.S.I dated 21.01.2019, 01.02.2019, 04.02.2019 and 15.02.2019 of MHRD Department of Higher Education regarding implementation of reservation for Economically Weaker Sections (EWSs) for admission in Central Educational Institutions, it is necessary to identify the candidates belonging to EWS category from amongst the candidates of JEE(Main) January and JEE(Main) April 2019. The Candidates of JEE (Main) January, 2019 as well as April 2019 Examination(s), who come under EWS category as per the Certificate issued by the Competent Authority, may mention such category in the Online Application Form available at www.jeemain.nic.in between March 11-15, 2019. The EWS Category Certificate is not to be uploaded in the JEE (Main) Portal. However, the same will be required at the time of filling up of the application for JEE (Advanced). This is for the information and appropriate action by all concerned candidates.